Valencia midfielder Fran Villalba has been the subject to interest from Manchester United and Barcelona, and a deal could pull through as early as this winter. The midfielder is expected to have a big future, and Manchester United are keen on adding the 18-year-old to their youth squad. United are no strangers to placing young players in the first-team squad, with Marcus Rashford being one fine example. Villalba could be tempted by the youngster-friendly side of the Manchester club. Villalba started out his playing career in Valencia’s Youth Academy, making a total of 25 appearances for the Valencia B-side. He made his professional debut for Valencia last year, in December, during a Copa del Rey match. He also made his La Liga debut later that month, during a 1-0 loss against Villarreal. 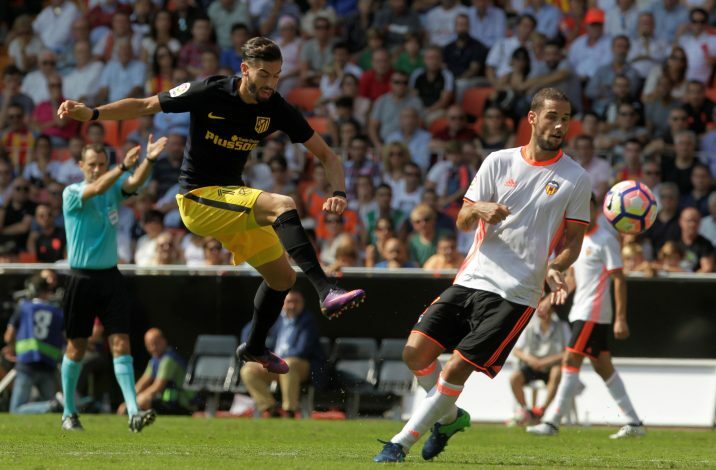 However, his progress seems to have been halted, and he has even lost his starting position in Valencia’s B squad. Due to the youngster’s failure to establish a regular position, Manchester United and Barcelona are keen on snapping up the teenage midfielder. Barcelona are believed to be looking towards Villalba as a potential replacement for 32-year-old Andreas Iniesta, although such an expectation could scare the player away. Valencia have placed a £3.6 million buyout clause in Villalba’s contract, and the player himself is believed to be interested in a switch this winter. Both Manchester United and Barcelona are looking to add Villalba to their respective youth academies, but they will have to battle it out against each other for the player’s signature. Robert Fernandez, Barcelona’s Sporting Director, is believed to have had his eye on the teenager for a while now, and it seems like the Catalan club have the edge over United in the race for the starlet. Fran’s current contract with Valencia is set to expire in June 2021, although a new, more lucrative, offer could be too tempting to resist for the youngster.